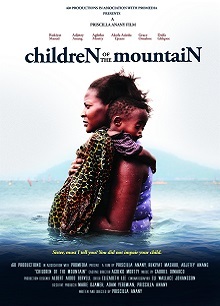 Children of the Mountain is a story about a woman who gives birth to a deformed and sickly child. Because she’s criticised and blamed for her child’s conditions, she becomes determined to do everything in her power to find a cure of him. When all fails and she becomes hopeless, she is pushed to getting rid of her child. Children of the Mountain (Les enfants de la montagne) raconte l'histoire d’une femme qui donne naissance à un enfant déformé et malade. Elle est critiquée et blâmée pour les conditions de son enfant, donc, elle est déterminée à faire tout son possible pour trouver une cure pour le soigner. Quand tous les autres recours ont échoué et qu'elle se trouve sans espoir, elle est poussée à la pointe de se débarrasser de son enfant. Tiyaa, a beautiful young woman from an aristocratic family, returns after a study in Paris to her place of birth, the Sultanate of Zinder in Niger. Her girlfriends and aunts soon notice that a shadow of sorrow hangs over her. She had to leave her lover behind in Paris and she is at a loose end back home. During a consultation with a zimma, a wise old man, she is advised to wait for the new moon to perform a love ritual. Until that time, she roams the community having conversations with women of all ages, who offer her an insight into their love life and sensuality, taboos and culturally-defined codes, with a dash of mysticism. Tiyaa est récemment de retour chez elle, dans le Sultanat de Zinder, après avoir fini ses études. 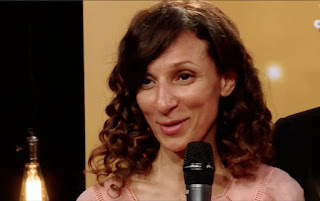 La jeune femme essaie de surmonter le souvenir d’une histoire d’amour douloureuse. La promesse mystique d’un prince charmant souffle vers sa direction. Africine : published/publié 27-02-2017: by/par Sid-Lamine Salouka. Translation from French by Beti Ellerson. The opening film of the 25th edition of the Pan African Festival of Cinema and Television in Ouagadougou (Fespaco) is a road movie by Apolline Traoré where, as usual, the Burkinabè filmmaker focuses on the empowerment of African woman. 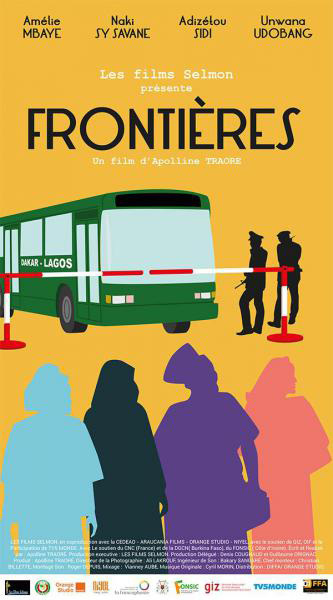 As the road movie is a cinematic genre that puts the voyage at the heart of its adventures, by its title ("Frontiers") Apolline Traoré's third feature is framed from the start as a fantastical journey of the problematic passage from one country to another. 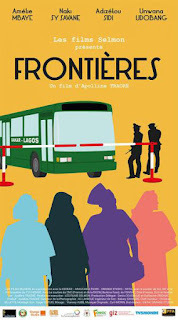 Indeed, the thread of the film is the trip from Dakar to Lagos by Hadjara (Amélie Mbaye), a Senegalese voyager who travels to buy goods for the women's association of which she is a member. In her crossing of West Africa, she meets and befriends three other women. The first is Emma (Naky Sy Savane), an Ivorian merchant who has been wayfaring on the roads for fifteen years without knowing why. In addition, there is Micha (Unwana Udobang), a Nigerian living in Burkina Faso who returns to her country to attend her sister's wedding, and eventually to reconcile with her family. Finally there is Sali (Adizétou Sidi), a young student of Bobo-Dioulasso who carries out a task for her fiancé in the capital of Nigeria. More than friendship, it is their similar quest that brings the heroines together: to free themselves from the authority of men and to assert themselves as people in their own right. If the purpose of this film is indeed African integration, especially within the Economic Community of West African States (ECOWAS), it is the slice of life of a week on the road of the quartet that is supposed to keep the viewer in suspense. During their expedition, it is the excesses of the phallocratic powers in their raw versions, that each of the women is confronted, more so than the administrative and sovereign ideologies of the countries. These States, and the absurd laws on which they seem to be based, are only pretexts in the hands of corrupt policemen and customs officers. They are mainly men, for the women civil servants are exemplary, such as a police officer who stops a thief and a jewellery trafficker. Moreover, racketeering and sexual abuse are commonplace among men of power. This is one of the difficulties of the film, which tries to reconcile the political ambition of the co-producer, ECOWAS, and the personal cause of the filmmaker. Placed between these two desires, the scenario of Apolline Traoré remains weak in its construction. The four portraits of women appear as many layers that overlap though without any real depth. And the characters, far from having texture, appear like incomplete sketches. The actresses’ performance, which fails to restore the truth of the characters, reinforces this perception. This, even if the casting and the mise en scène have improved considerably compared to "Moi, Zaphira". Another proof of the wide discrepancy in the work is the need to justify the message by a speech in voiceover that literally kills the film. 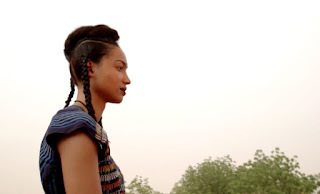 Clearly, Apolline Traoré's passage to the road movie, even if full of well-meaning intentions, reveals above all, the choice of a framework a bit too large. Le road movie est un genre cinématographique qui met le voyage au cœur de ses péripéties. 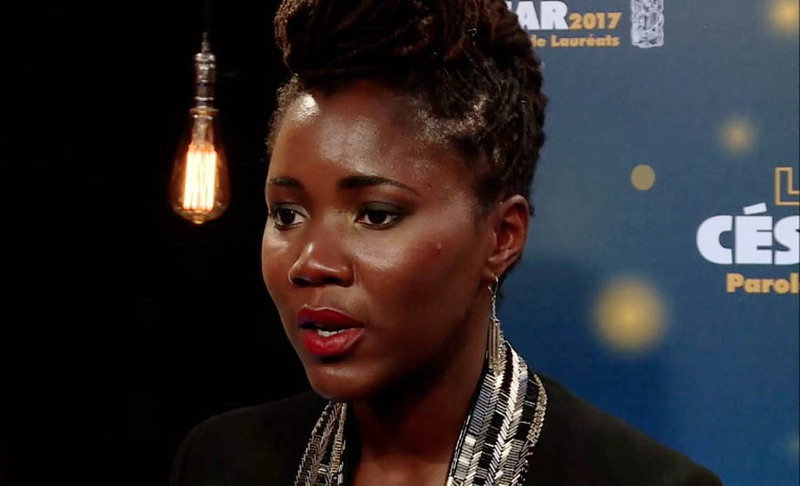 Par son titre ("Frontières") le troisième long métrage d'Apolline Traoré se pose d'emblée comme un parcours rocambolesque au cours duquel le passage d'un pays à un autre pose problème. En effet, le fil conducteur du film est le voyage que la Sénégalaise Hadjara (Amélie Mbaye) effectue de Dakar à Lagos ; elle doit y acquérir des marchandises pour de l'association féminine dans laquelle elle milite. Dans sa traversée de l'Afrique occidentale, elle rencontre trois autres femmes avec qui elle se liera d'amitié. Tout d'abord, il y a Emma (Naky Sy Savané), une commerçante ivoirienne qui traficote sur les routes depuis quinze ans sans plus savoir pourquoi. 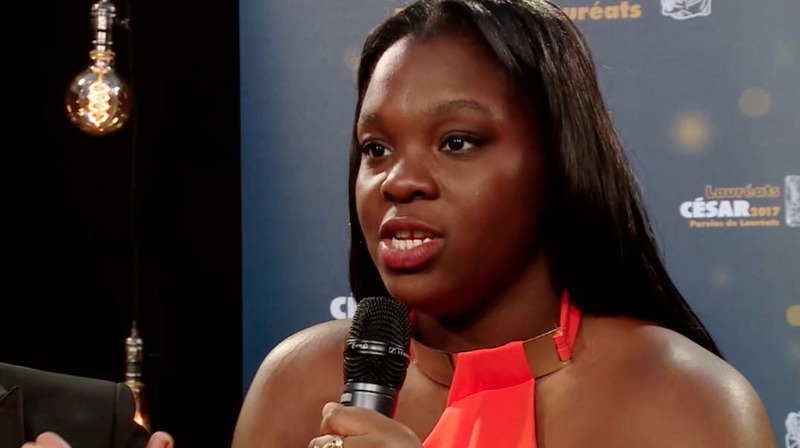 Outre Micha (Unwana Udobang), une Nigériane installée au Burkina qui rentre au pays pour assister au mariage de sa sœur et, éventuellement, pour se réconcilier avec les siens. Il y a enfin Sali (Adizétou Sidi), une jeune étudiante de Bobo-Dioulasso chargée par son fiancé de porter une commission dans la capitale du Nigéria. Plus que l'amitié, une même quête réunit les héroïnes : s'affranchir de la tutelle des hommes et s'affirmer en tant que personnes à part entière. Lire l'article complet sur Africine. 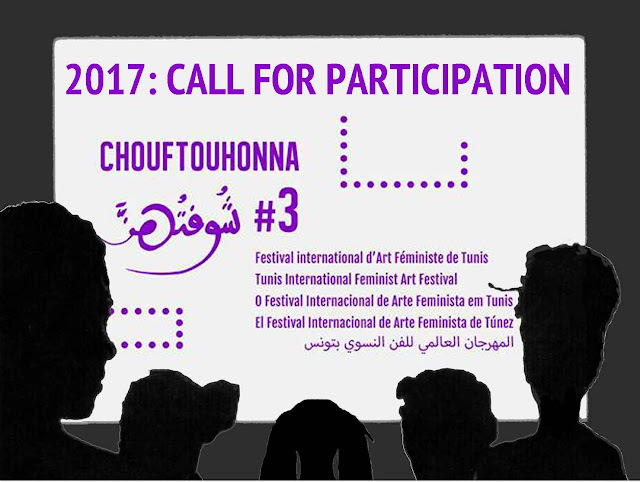 We are pleased to announce the launch of the Open call for application for the third edition of CHOUFTOUHONNA, Tunis International Feminist Art Festival, which will be held on 07-08-09-10 September 2017. Women and identifying as women artists and creators of all disciplines from all over the world are invited to submit their applications by 30 March 2017. 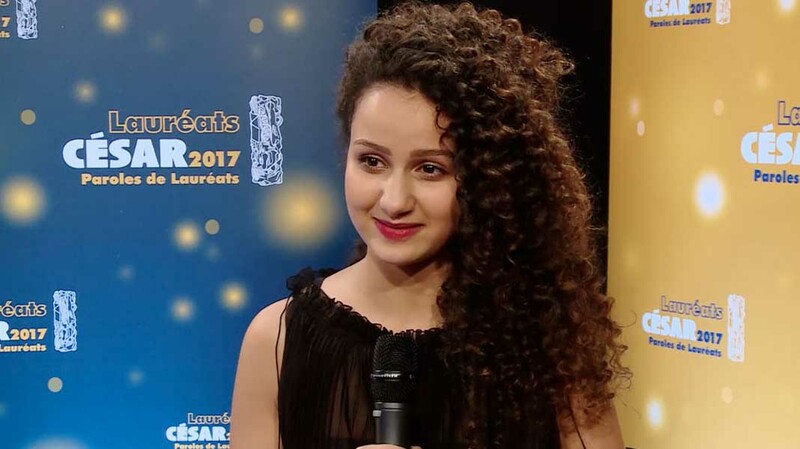 The success of the two previous editions confirmed the idea that an artistic space, exclusively dedicated to women is needed, not only in Tunisia but throughout the world. In fact, the 75 participations in the first edition and the 130 in the second edition reveal a growing solidarity and interest around this project, and provide us the needed energy to carry on this very unique experience. CHOUFTOUHONNA believes in an intersectional feminism and wants to be inclusive. 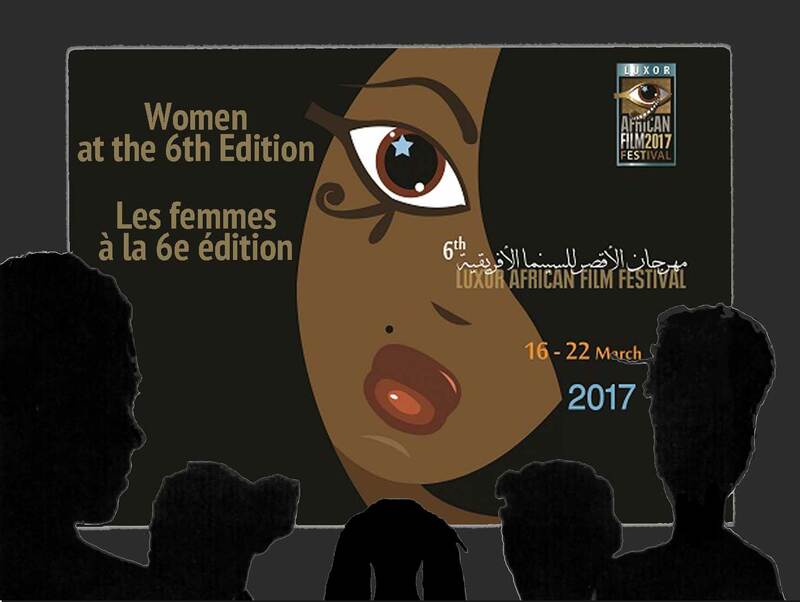 Thereby, the festival defends an art that emphasizes women’s visions and rights, but most of all has the ambition to give a space of expression to women, in their diversity. Body, live performances, slam, poetry. Nous sommes heureuses de vous annoncer le lancement de la troisième édition de CHOUFTOUHONNA, le festival international d’Art Féministe de Tunis, qui se tiendra les 07/08/09/10 Septembre 2017. Le succès des deux précédentes éditions a confirmé l’idée qu’un espace artistique dédié aux femmes est nécessaire, non seulement en Tunisie mais dans le monde entier. En effet, les 75 participations à la première édition et les 130 à la deuxième révèlent une solidarité et un interêt croissants autour de ce projet, et nous donne l'énergie nécessaire pour continuer cette expérience unique en son genre. Nos complace enormemente anunciar el lanzamiento de la tercera edición de CHOUFTOUHONNA, el Festival Internacional de Arte Feminista de Túnez, que tendrá lugar los días 07/08/09/10 Septiembre 2017. Hacemos una invitación a participar a mujeres artistas y creadoras, o que se identifican como mujeres, de todos los países. El éxito de las dos precedentes ediciones nos ha confirmado la necesidad de un espacio artístico dedicado a las mujeres, no sólo en Túnez, sino en todo el mundo. De hecho, las 75 participantes de la primera edición y las 130 de la segunda revelan una inmensa fraternidad y un interés creciente en torno de este proyecto, y nos dan la energía para seguir con esta experiencia única en su género. CHOUFTOUHONNA cree en un feminismo interseccional y quiere ser inclusivo. A partir de ahí, el Festival defiende una arte que tiene su eje en la libertad de elección y en los derechos de las mujeres, pero quiere en primer lugar producir un espacio de expresión para las mujeres, en toda su diversidad. cuerpo, actuaciones en vivo, poesía slam. Viva el arte y el feminismo! Estamos felizes em anunciar o lançamento da terceira edição do CHOUFTOUHONNA, o Festival Internacional de Arte Feminista em Tunis, a ser realizada em 07/08/09/10 setembro 2017. Chamamos de participação, artistas e designers, mulheres, ou que se identificam como mulheres de todos os países. O sucesso das duas edições anteriores confirmaram a ideia de que o espaço de arte dedicado às mulheres é necessário, não só na Tunísia, mas em todo o mundo. De facto, as 75 entradas na primeira edição e 130 na segunda edição, demonstram solidariedade e interesse crescente neste projecto, e dá nos a energia para continuar esta experiência única de seu tipo. Esta categoria inclui pintura, escultura, cerâmica, gravuras. Esta categoria reúne dança, circo, teatro, expressão corporal, performances ao vivo, poesia Slam. Viva a arte e do feminismo! CESAR_2017_MEILLEUR_1ER_FILM_DIVINES_+_MEILLEURE_ACTRICE_DANS_UN_SECOND_ROLE_O.AMAMRA_ET_D.LUKUMUENA from Académie des César on Vimeo. MAMAN(S)_CESAR_2017_MEILLEUR_COURT_METRAGE from Académie des César on Vimeo. "Towards tenderness - four young men speaking freely, locked in their sexual and romantic representations or on the verge of getting out of it." "Au cours d'un atelier sur le thème de l'amour, j'ai rencontré quatre jeunes hommes tous originaires de Seine Saint-Denis. J'ai enregistré nos conversations. J'ai eu envie de faire de ces voix un film." 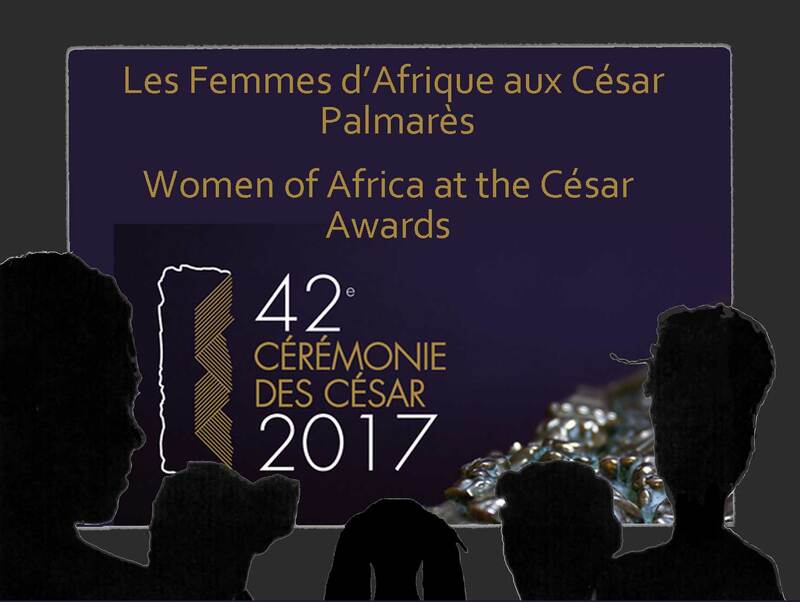 VERS_LA_TENDRESSE_CESAR_2017_MEILLEUR_COURT_METRAGE from Académie des César on Vimeo. 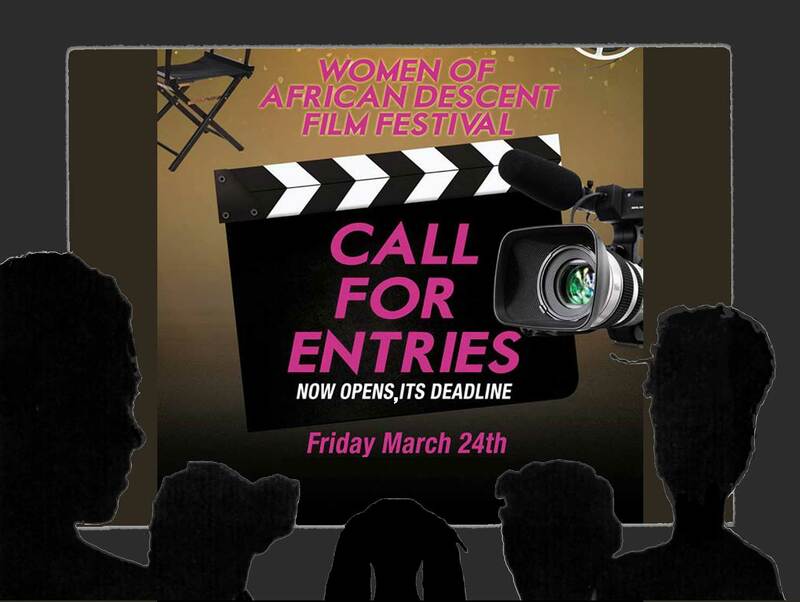 The 16th Annual Women of African Descent Film Festival presented by The Brooklyn Chapter of The Links, Inc. now opens its CALL FOR ENTRIES. Please contact wadffbklyn@gmail.com with questions regarding the festival. 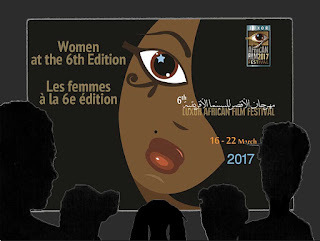 The Women of African Descent Film Festival (WADFF) is celebrating its 16th Anniversary in 2017. The media constantly bombards us with negative images of people of African descent. Our positive accomplishments, uplifting experiences, and gifts to humanity get little attention. The Brooklyn Chapter believes it is vitally important that our legacy be maintained, nurtured and preserved and it is our responsibility to shape the public’s perception of who we are as a people. Through the medium of film, filmmakers of African descent document and relay the stories of our past, present, and future. They have become the new historians –“preservers of our legacy.” The Brooklyn Chapter realizes that many societal misconceptions start with how we are portrayed in the media. To counteract the adverse portrayal of African Americans in the movies and media, the Brooklyn Chapter, in 2002, initiated Linkages: Women of African Descent Film Festival. 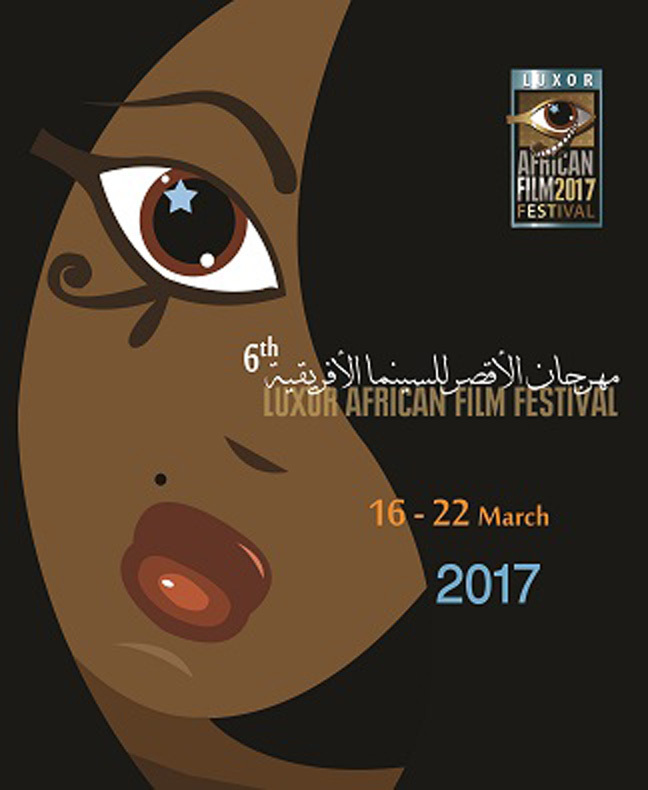 By choosing and screening films that depict the positive linkages that women of African descent have to their families, neighborhoods and communities, the film festival is able to effectively influence people’s’ perceptions through the medium of film. All films must be produced, written or directed by a female filmmaker of African descent, must have been completed on or after 1 June 2012, and must be 1 hour at most in length. Submission deadline is Friday, 24 March 2017. Juror’s Choice Awards and stipends will be presented to the participating filmmakers. Local, regional, national and international submissions are accepted. Please note: there is no submission fee. With your playable submission, please include a synopsis, crew list, press kit and any stills you would like to appear in the program and/or advertisements. THE EVENT WADFF 2017 will take place Saturday, 6 May 2017 at LIU Brooklyn (corner of Flatbush and Dekalb Avenues), Media Arts Department, Spike Lee Reading Room, 10am-6pm.